If you dig challenging puzzles, Monument Valley is definitely one of the most engaging games that you can find on Android as well as iOS. 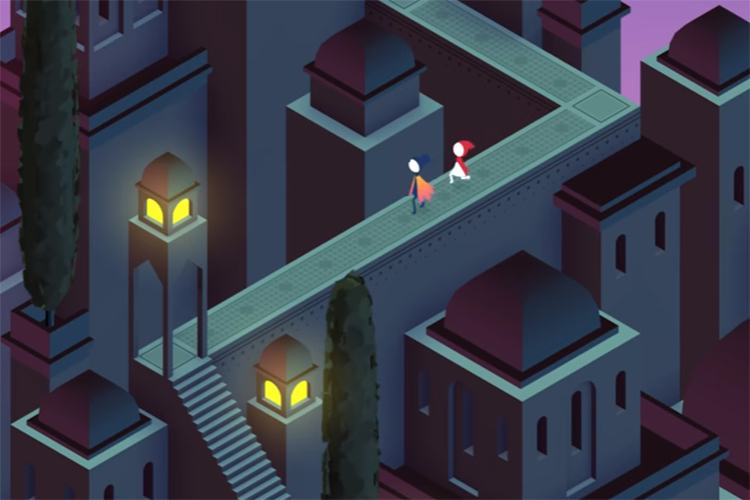 Following the success of the first title developer, ustwo games, launched Monument Valley 2 last year which brings challenging levels in a blend of adventure and amazement. Monument Valley 2 revolves around the life of Ro and her child who take a journey through the beautifully designed and intricately laid out levels. Your role is to help the mother and the child navigate through this labyrinth of mystical and unseen adventures with a surprise element in nearly level. While Monument Valley usually sells for Rs. 260, Monument Valley 2 is usually priced at Rs. 400. 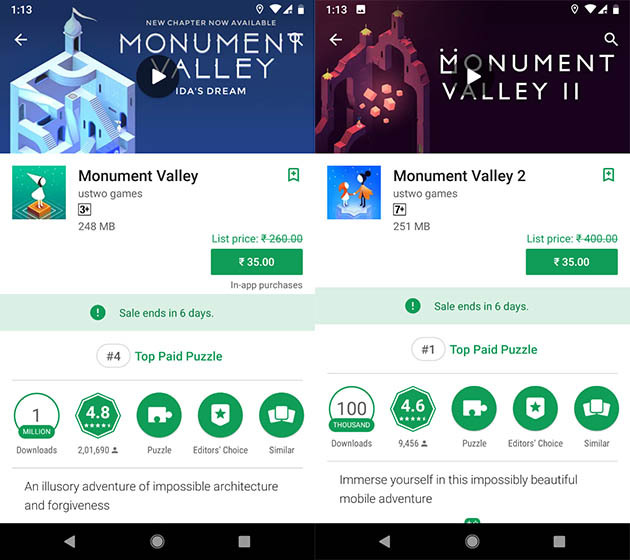 Interestingly, both the games are heavily discounted on Google Play Store. You can get both the games for Rs. 35 each and while you can explore both, we highly recommend you move on to Monument Valley 2 directly as it is not related to the original, and has many more interesting features and more levels. Further, you get a 91 percent discount on the second title which means, it is a better deal than buying the 2014 version. From a distant glance, Monument Valley 2 might look like its predecessor especially because of the isomeric structures, floating fortresses, and Escher-esque visual art. But when you dive into the game, you learn the about the new whimsical elements added to the sequel. Unlike the last game, some of the levels in Monument Valley 2 require you to play for both characters together. Besides the eye-catching physics and the movements of different elements, the game also has a ton of emotional appeal, poking into themes such as family, relationships, responsibility and independence. Monument Valley 2 even has four more levels compared to the previous game. But for the spectacular interaction between characters, the superb physical, and appealing ambiance, you had to pay a little more than the first game, which is not the case any longer.